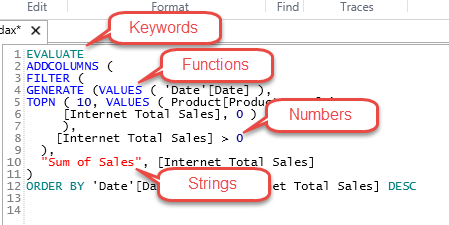 The query editor pane is where you enter the queries that you want DAX Studio to execute. As of v2.4.4 the Syntax highlighting is now dynamic and discovers new keywords and functions from the currently connected data source. This is particularly important for PowerBI where new functionality is regularly released.